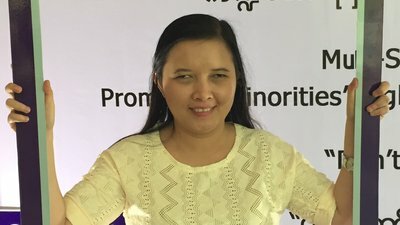 On January 18-19, the Myanmar Independent Living Initiative (MILI) held the "Promoting Minorities' Rights in Political Transition in Myanmar" forum, which gathered government, civil society, media, and other stakeholders. 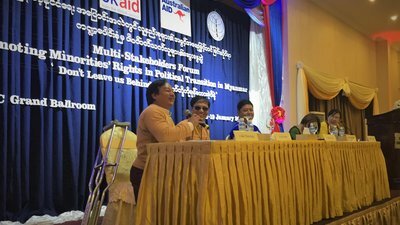 Panel discussions focused on the barriers to full participation in political and public life, with an emphasis on finding commonalities among disability rights groups and other minority groups. The event was organized with the support of the International Foundation for Electoral Systems (IFES) and funding from the UK Department for International Development (DFID) and the Australian Department of Foreign Affairs and Trade (DFAT). 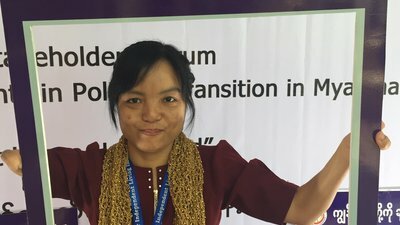 A woman from MILI holds a photo frame that says "Equality, Respect, Access, Inclusion: Disability Rights NOW" in Myanmar. 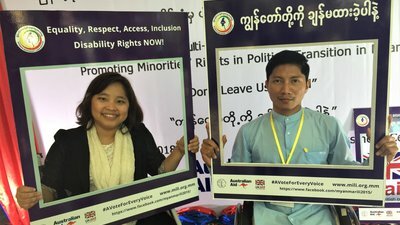 A man who is deaf shows support for the initiative with a photo frame that says "Equality, Respect, Access, Inclusion: Disability Rights NOW" in Myanmar. Tawng Mai from the DFID Myanmar office and Nay Lin Soe, MILI Executive Director, take part in the photo frame campaign. A woman with a visual disability participates in the forum's photo frame campaign. 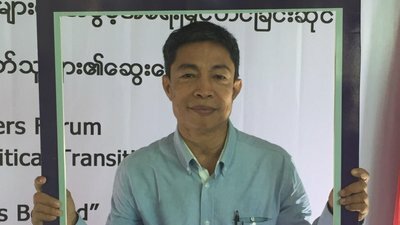 U Saw Thura Aung, a member of parliament with a disability, speaks to the audience in a panel with multiple government stakeholders. Participants from the DPO community took part in the photo frame campaign. 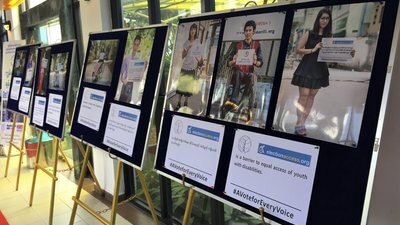 The event featured an exhibit with photos that were taken during IFES' December 2017 Twitter campaign, which featured support for the political rights of women and youth with disabilities. 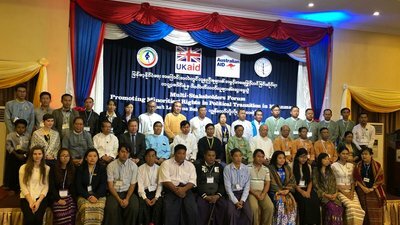 Participants of the forum, which included disability rights advocates, LGBTI organizations, ethnic minority groups, and other civil society, as well as government stakeholders.